"Don't you... forget about me..."
While the 3DS is receiving most of the limelight, there are still a few interesting titles heading to DS in Europe over the coming months, as Nintendo Europe's most up-to-date release schedule shows. The machine's upcoming catalogue offers a blend of popular and niche projects, from Solatorobo: Red the Hunter to the fourth game in the popular puzzle series, Professor Layton and the Spectre's Call (known as Professor Layton and the Last Specter elsewhere). On the DSiWare front, Nintendo has announced Jagged Alliance from Cypronia — the team behind Crazy Cheebo: Puzzle Party and Ice Hockey Slovakia 2011 — and a summer release for Digital Leisure's Dragon's Lair II: Time Warp. Here's what the 2D DS has to offer Europeans in the coming months. In addition to the above variety of titles, Nintendo also has a treat for Mario fans later in the year. Players will be spoilt for choice as not one, but two Mario games are brought to life in stunning 3D on Nintendo 3DS - Mario Kart™ (temp) and Super Mario ™ (temp). 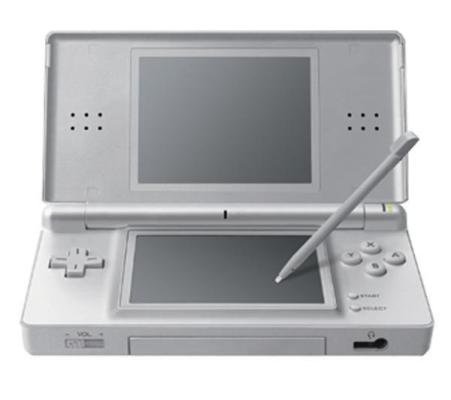 Nintendo DS owners will also see the return of master puzzler Professor Layton in Professor Layton and the Spectre’s Call™ (Nintendo) while The Legend of Zelda™: Skyward Sword (Nintendo) and Kirby™ Wii (Nintendo) launch on Wii in 2011. Solatorobo is an instant buy for me tommorrow!!! What about Professor Layton up in the news and the game is missing on the list??? After Professor Layton and the spectre's call being mentioned, I was expecting to see a release date. When is it out?! Out of the games that are on the list, the only one that interests me is Solatorobo. Here's hoping for the release of Professor Layton and the Last Specter in Europe ASAP! Will be picking up Solatorobo at some point when my budget allows it! Professor Layton is just "late 2011" at the moment — this list only really covers summer/autumn. Thanks for the info, James! I will buy Solatorobo and One Piece! Solatorobo universe looks really amazing. Was hoping Kirby Mass Attack would be dated. solatorobo.. and then nothing.... pokemon typing? mercy! ONE PIECE shouts out at me there. Have it on pre-order, but the site says 23rd September for some reason (eh?!). If anyone wants a localised Junp Ultimate stars or Smash Bros style game on the DS, they should consider this localised, potential beauty. Apart from Solatorobo and maybe One Piece, that's a bit depressing. Shouldn't Four Swords be on the DSiWare list there? Oh, good. If Europe got Fire Emblem 12 too, then I would have had to hurt somebody. Nothing interesting enough for me. Would have liked to see Dragon Quest Monsters: Joker 2 and Kirby Mass Attack on that list. Jagged Alliance could be great though. 1st July been and gone and no sign anywhere of One Piece DS. What the fudge is going on? "GOGO Gadget cradit cards Activate.." Mode? Backlog Buying frenzy.